If you are planning some baking, but find that you are out of baking powder, you may have the ingredients to make a substitute. This is a guide about a substitution for baking powder. 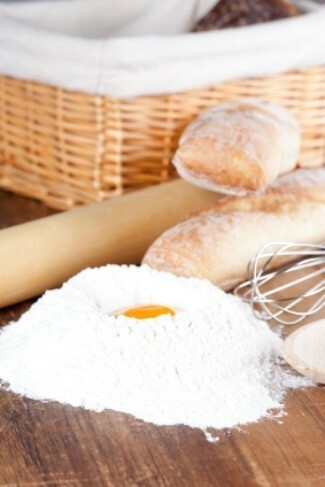 If you run out of baking powder when you need some, use 2 level teaspoons cream of tartar to one teaspoon baking soda. This is equal to 4 teaspoons of tartrate baking powder, the kind you usually have in the kitchen. I am making a blackberry cobbler. I am out of baking powder. Am I able to substitute anything? I do have a huge bag of Krusteaz pancake mix, if I add some sugar, butter, and an egg, will it come out OK? I skip the baking powder in a lot of recipes and it turns out fine. I use 1/4 tsp baking powder and 1/2 tsp cream of tarter to substitute baking powder when I run out. This amount equals 1 tsp of baking powder. In answer to your question about the Krusteaz: you probably can add some sugar and a little butter along with the liquid recommended. However, it will simply be an experiment on your part and I personally can't answer how much for you. This is how new recipes are formed and it just may become your new favorite! Good Luck! One teaspoon of this is equal to 1 teaspoon baking powder. Blackberry cobbler is so easy to make and you can use fresh or frozen blackberries. Baking powder substitutes "recipes" will always mean you have to have baking soda but I have found that many people do not have either one so what can you use? If you do not have the baking power or the baking soda then it would be a better idea to just use self rising flour as neither of these are required for a cobbler. You mentioned that you had a large bag of Krusteaz pancake mix so it seems you were thinking about using this for you cobbler? This makes a very good cobbler so be sure to try it next time. Here is an excellent recipe if you want to try making your cobbler with self-rising flour.